Do you know Jesus? I mean, do you really know him? Could you tell me what kind of person he was? What was his personality? If I asked you to describe Jesus to me like he was your best friend, could you do it? I know I couldn’t. Honestly, I don’t know Jesus as well as I often say I do. Neither do most people in the church. Jesus was a compelling, strong, “brilliant, untamed, tender, creative, slippery, irreducible, paradoxically humble” man, willing to leave heavenly glory and step into time, space, and the human body for the purpose of saving the world from sin. If you don’t know that Jesus, I strongly recommend you read Philip Yancey’s The Jesus I Never Knew. 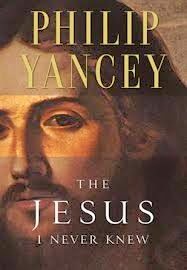 In his extensive scrutiny of the life and character of Jesus, Philip Yancey covers a variety of topics that all fit into three categories: who Jesus was, why he came, and the difference he makes. He begins the book with a chapter debunking the popular misconceptions of Jesus, later delving into Jesus’ Jewish background and profile. He then moves onto discussing key points in Jesus’ life, namely: the temptation, his sermons, his miracles, and finally detailing Jesus’ death. Yancey then tells us why it matters: the way that believing in Jesus changes the way you live in this world. That paragraph above makes the book sound very organized, tidy, and well, a bit bland. In truth, this book is riveting. I found myself captivated by the picture of Jesus that Yancey portrayed. I certainly feel that the book has illuminated my own understanding of Jesus and his life on earth. The book is peppered with quotes and examples from several famous authors and poets- C.S. Lewis, John Milton, Soren Kierkegaard, George MacDonald, Dostoevsky, and Tolstoy- which of course always captures the interest of literary lover like myself. Yancey’s book is also saturated with Scripture, as well as many engaging personal stories from the author, which give the book a comfortable, conversational feel. I recommend this book for anyone looking to know Jesus better. I read this book as a textbook for one of my college classes, and was highly impressed with the author’s extensive research and study. I do recommend with a caution: there are a few sprinklings of stories, small words and little details which would best be read by mature audiences. After all, this is life, and life is a tad messy at times. All told, The Jesus I Never Knew was my favorite textbook this year. Rather than detracting from the person of Jesus with mundane details, confusing Greek translations or boring historical facts, this book made me want to flip to the Gospel of and start reading for myself. Is this really the Jesus I learned about in Sunday school? Jesus: perfect son of Man, holy son of God, friend of sinners, lover of servants, humble, wise, honest, strong… But don’t take my word for it, read Yancey’s book for yourself. And then, don’t take his word for it either; pick up a Bible and start reading. 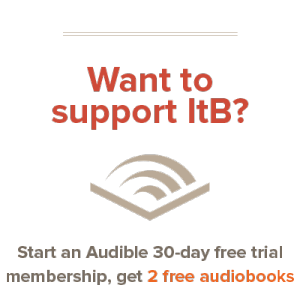 Buy The Jesus I Never Knew on Amazon and Support ItB! I loved this book when I first read it too! Philip Yancey made such a big impact on my life. This is a test comment. Test basmest. This is a test comment posted from a mobile device.